Beginning a three part-part series that looks at the steps taken by several countries to fight deadly epidemics. 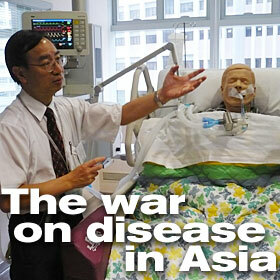 In part one, a look at how asian countries are working to combat avian virus. Hawaii campaign spokesman Obama, called yesterday's win in South Carolina a "landmark victory"